The Huskimo Pinnacle dog coat is the ultimate winter coat, perfect for the raining, cold or snowy days. 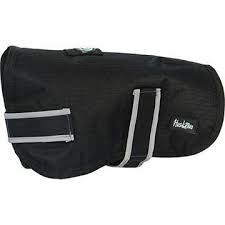 A fleece lining keeps your pet warm and the durable waterproof outer keep them dry. The Pinnacle dog coat is made of tough ripstop fabric with a fleece lining. 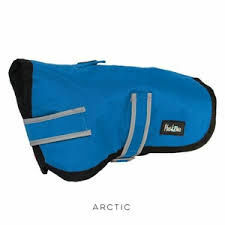 It is adjustable to suit all shapes of canines. The reflective trim is great for night time safety. The Huskimo Pinnacle coat comes in Canyon (Red), Artic (Sky Blue) and Eclipse (Black).